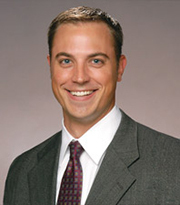 Dr. Alexander J. Sierk joined Sierk Orthodontics in 2007. Alex graduated from the University of Iowa College of Dentistry. He was the recipient of the Kramer Award as a dental school undergraduate and is a member of Ormicron Kappa Upsilon dental honor fraternity. He also received his master of science degree in orthodontics from the University of Iowa. As a graduating senior at Princeton University, Alex received the Pyne Prize, Princeton's highest academic and leadership honor. He was an All-American placekicker, the Burger King Division 1-AA Scholar Athlete of the Year, and the recipient of a National Football Foundation and College Football Hall of Fame post-graduate scholarship. Dr. Alex Sierk is currently the President-Elect of the Davenport District Dental Society and has served as president of the Scott County Dental Society. He is also a member of the American Association of Orthodontists, the Midwestern Society of Orthodontists, the Iowa Society of Orthodontists, the American Dental Association and the Iowa Dental Association. Alex's wife, Sara, is a University of Iowa graduate in elementary education. They reside in Bettendorf with their daughters Caroline, Maddie, and Natalie. Dr. Sierk lives for spending time with his girls. Alex is an avid fan of movies and pop culture, and has a particular interest in the decade of the 1980's. One of his true passions is sharing the video games, movies and memorabilia of the 80's with today's generation. The lower level of Sierk Orthodontics is home to Sierk Arcade. Dr. Sierk hosts monthly birthday parties for all of our guests at Sierk Arcade. He also donates the use of Sierk Arcade for local youth and school charities. Dr. Sierk believes in progress, and that with collaboration and hard work, we can make the world a better place. Sierk Orthodontics works with local youth organizations and charities to help improve the lives of children in our community. 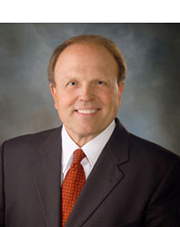 Dr. Donald L. Sierk graduated from the University of Iowa with a doctor of dental surgery degree. During his senior year, he received the Pediatric Dentistry Award and was the College of Dentistry Hancher-Finkbine Award nominee. He is a member of Ormicron Kappa Upsilon dental honor fraternity. He served two years as a dental officer in the U.S. Navy. Returning to the University of Iowa, he received his master of science degree in orthodontics. Don is a Diplomate of the American Board of Orthodontics. He has served as president of the Iowa Society of Orthodontists, the Davenport District Dental Society, and the Scott County Dental Society. He is also a member of the American Association of Orthodontists, the Midwestern Society of Orthodontists, the American Dental Association, and the Iowa Dental Association. Don's wife, Pat, has degrees in elementary education and library science. Alex and his other sons have followed Don into the dental profession; Chris is an orthodontist in Oregon, and Jon is a pediatric dentist in Colorado. Don is a sports enthusiast and enjoys reading and traveling.